What follows is an illustrated description of some of the new product discoveries I made at CanJam NYC 2018. 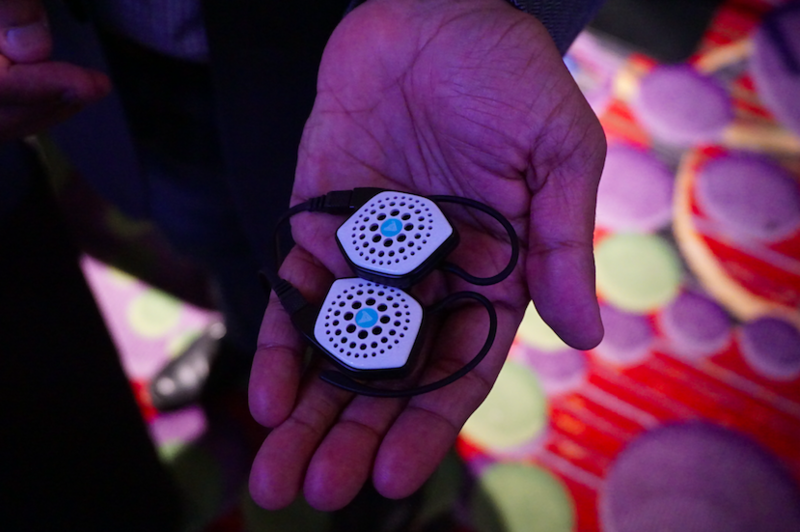 Following last summer’s CanJam London 2017 event, Hi-Fi+ Editor Alan Sircom commented favourably on headphones from a new company called Advanced (ADVSOUND Inc.), which specializes in development of high-value/high-performance planar magnetic headphones and hybrid balanced-armature/dynamic driver-equipped earphones. A fine case in point would be the now-released-for production Advanced Alpha open-back planar magnetic headphones, which sell for a moderate $499. The Alphas sport single-sided planar magnetic drivers with 96mm diaphragms made of a silicone composite and come with a useful set of accessories included dual sets of ear pads and signal cables. Frankly, everything about the Alphas—sound, ergonomics, and self-evident build quality—suggests they might cost more than they actually do. 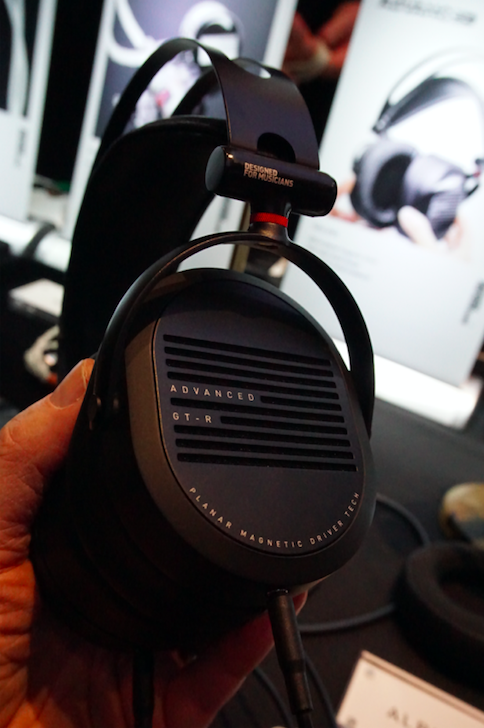 Hence, the Advanced Alpha should be a very strong candidate for top honours in the keenly contested $400 - $500 headphone class. 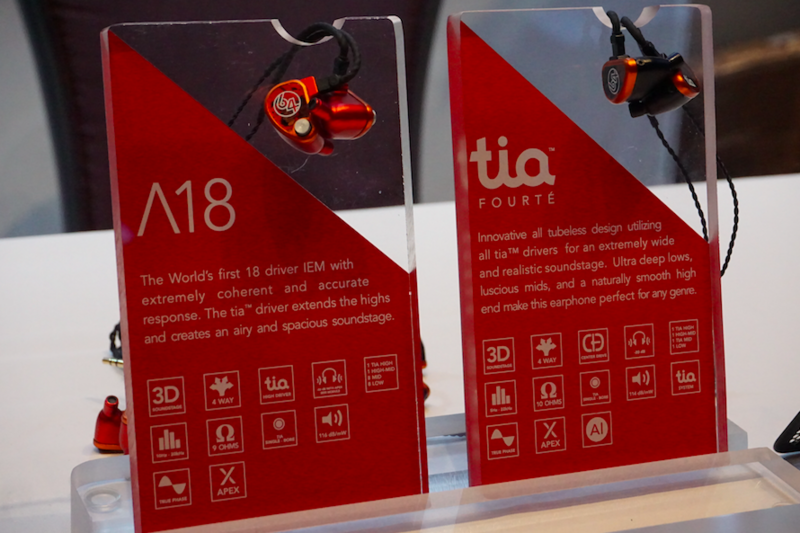 Two other promising products from Advanced were the still-under-development GT-R planar magnetic headphones (projected price $399), plus the new M5 earphone family consisting of three different though related models: a single dynamic driver version ($399), a hybrid four balanced-armature + single dynamic driver version ($599), and an 11 balanced armature version ($699). Brief listening sessions with the GT-R and the M5 4BA + 1DYN model both proved promising. 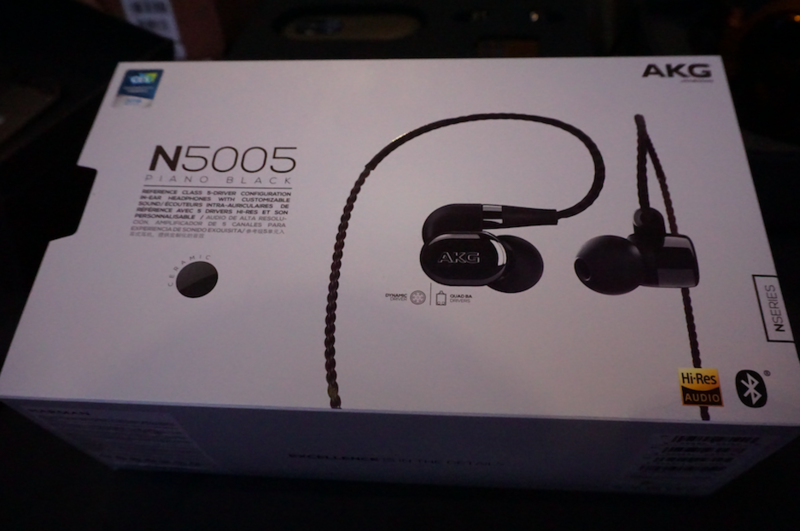 Not so very long ago the Austrian firm AKG wowed listeners with its very impressive (and very expensive) K3003 universal-fit earphone and now the company has replaced its venerable flagship with a new model: the N5005 earphone that will sell for $999. Unlike the original K3003, the N5005 is a Bluetooth capable earphone that uses the combination of four balanced armature-type drivers plus a single dynamic driver. Like the K3003, however, the N5005 comes with a downright sumptuous collection of accessories, as the accompanying photos will show. Full-size planar magnetic headphones are the devices that put the California-based firm Audeze on the audio map, but of later it’s the firm’s ingenious and arguably revolutionary iSINE-series earphones that have been garnering the lion’s share of attention—and for all the right reasons. One small ‘catch’, though, is that until now even the least expensive iSINE model (the iSINE 10) carried an MSRP of about $399: not an astronomical sum for the quality on offer, but still a price too high to be welcoming to newcomers. All that has changed, however, with the advent of Audeze’s new iSINE LX planar magnetic earphone, which sells for $199. Suddenly, the entry price to access planar magnetic sound quality has reached a manageable new point that should fit a very, very wide range of budgets. One point worth noting is that the iSINE LX—unlike Audeze’s iSINE 10, iSINE 20, and LCDi4—is not being offered with an optional Cipher cable with an inline, self-powered amp/DAC/DSP module. 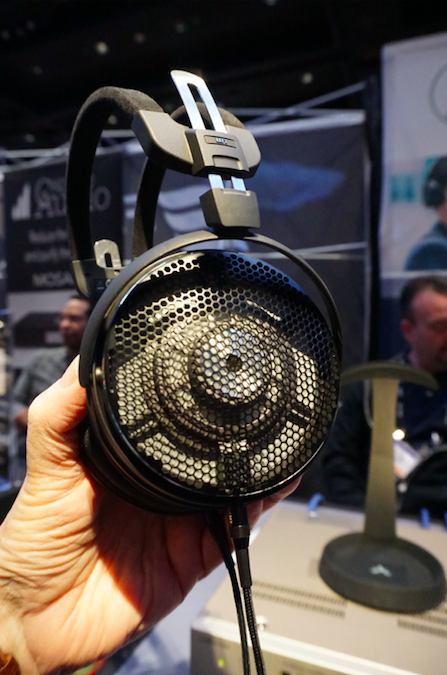 For CanJam NYC the Japanese firm Audio-Technica showed its most ambitious and unequivocally audiophile-orientated headphone to date: namely, the ATH-ADX5000 priced at $1,999. The ATH-ADX5000 is an open-back, dynamic driver-equipped headphone whose 58mm drive unit features a distinctive Tungsten-coated diaphragm. Moreover, the ATH-ADX5000 features an all-new frame design that is considerably different to the traditional ‘wing-support’ frames Audio-Technica has used in the past. Finally, the headphone’s signal cable features new A2DC connectors, which are rapidly gaining acceptance in the headphone marketplace. The Serbian firm Auris Audio showed two very impressive headphone amplifiers, both of which were being demonstrated with HiFiMAN’s superb but very difficult to drive Susvara planar magnetic headphones. At the top of the range was Auris’ Headonia 2A3, which uses—no surprise here, 2A3-type output valves. The Headonia 2A3 puts out >3Wpc and features separate impedance selectors for each of its two output taps. Hence, users could conceivably run high impedance headphones (e.g., the 300-Ohm Sennheiser HD800) on one output jack and low impedance headphones (e.g., the 35-Ohm HiFiMAN HE1000v2) on the other output jack—both at the same time. 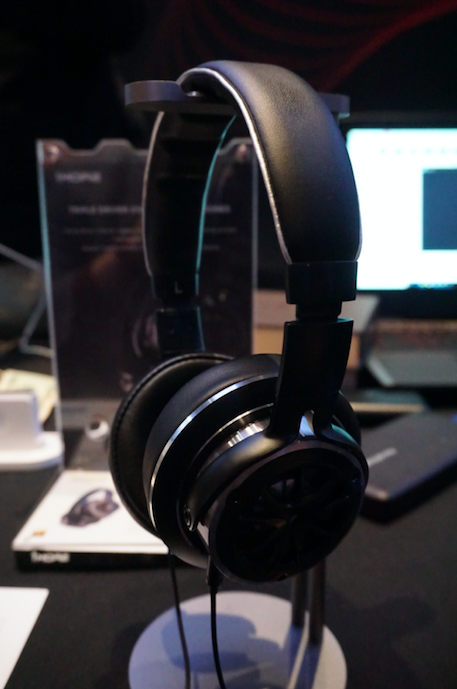 In a brief listen, I was thorough impressed by the Headonia’s delicate yet high authoritative sound as it drove the HiFiMAN Susvara headphones on demonstration. Also on demonstration from Auris was the HA2 SE headphone amplifier ($2000), which sports one ECC82 and four EL95 (or PL95) valves and that is capable of 1Wpc output. Unlike the Headonia, the HA2 SE offers only one headphone output jack, but nevertheless offers an output impedance selector optimised for 50/150/300/600-Ohm headphone loads. To my great surprise, the HA2 SE did a fine job with the HiFiMAN Susvara planar magnetic headphones, which is saying a mouthful when you consider how difficult the Susvara is to drive. 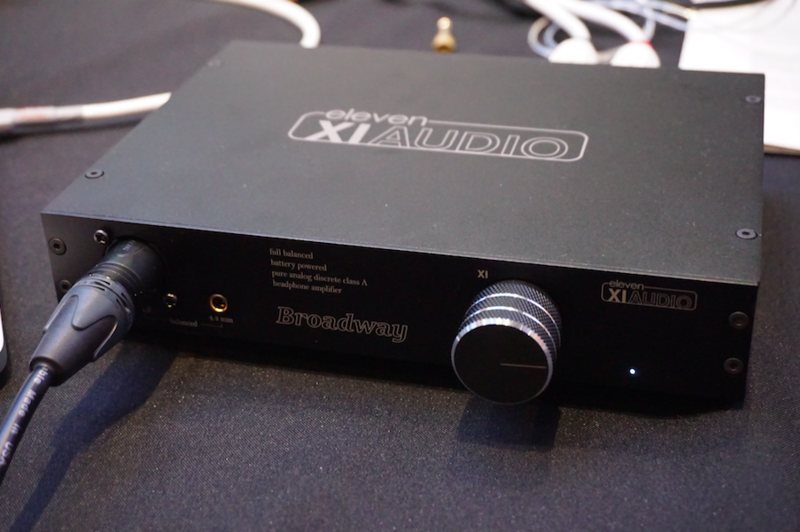 In fact, I would say the HA2 SE is one of very few headphone amplifiers in its price class that can do a truly credible job with the Susvara (and presumably with other hard-to-drive headphones). 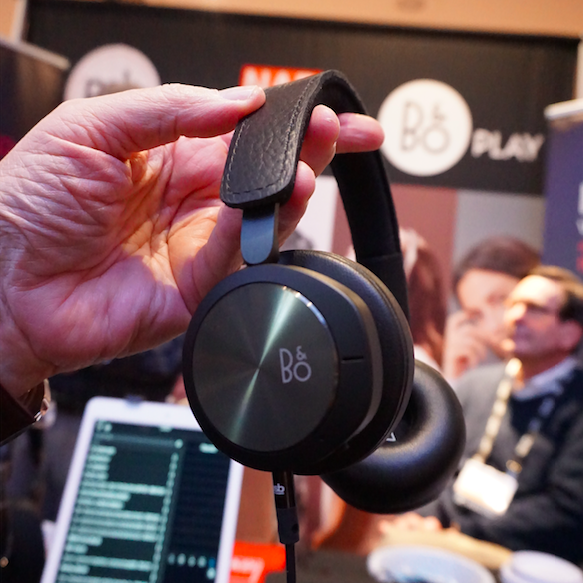 B&O Play headphones are distributed through Lenbrook (PSB, NAD, Blusound) in the US and accordingly the Lenbrook display featured not only headphones and earphones from PSB and NAD, but also two models from B&O Play: the H8i ($399) and the H4 ($299). The H8i is a Bluetooth enabled and automatic noise-cancelling equipped on-ear headphone, while the H4 is a wireless Bluetooth over the ear headphone. 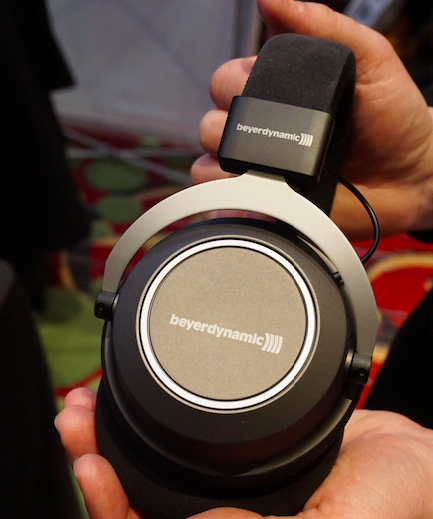 Beyerdynamic’s newest model as shown at CanJam NYC is the Amiron Wireless Bluetooth headphone with the firm’s signature MIY (Make-It-Yours) app, priced at $799. The MIY app, which can be used with a variety of other Beyerdynamic models is simply ingenious in that allows users to give themselves an app-driven hearing test through the headphones they plan to use, the result of which is the app preparing a customised, compensatory EQ curve unique to the user and headphone in question. Some manufacturers (for example, Even) have tried a similar approach, but with the test/EQ system built into the headphone. 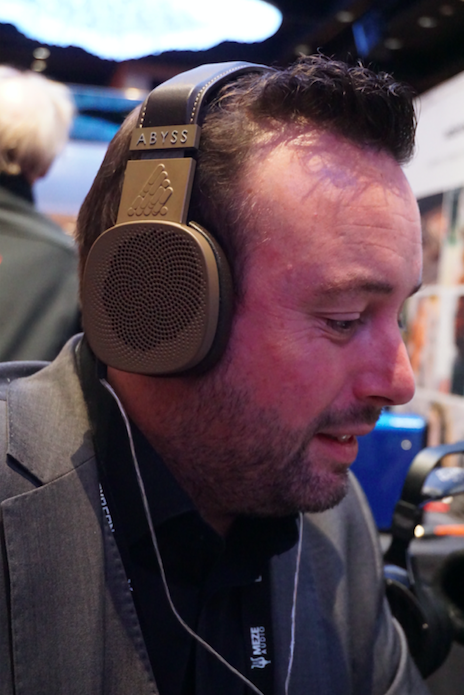 The beauty of the Beyerdynamic approach, however, is that it can be used by a number of different users and across a number of Beyerdynamic headphone and earphone models.